From his first novel, The Intuitionist, in 1999, Colson Whitehead has produced fiction that brilliantly blurs genre and cultural lines to demonstrate the universal angst and integral bonds shared by all Americans. By neglecting to mention a character’s racial heritage, Whitehead challenges the cultural assumptions of his readers. His African American protagonists are well educated and upwardly mobile and thus lack some of the social angst that is imposed by racial stratification. Despite the critical acclaim and literary awards Whitehead has received, there have been few in-depth examinations of his work. 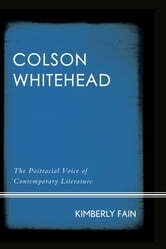 In Colson Whitehead: The Postracial Voice of Contemporary Literature, Kimberly Fain explores the work of this literary trailblazer, discussing how his novels reconstruct the American identity to be inclusive rather than exclusive and thus broaden the scope of who is considered an American. Whitehead attempts this feat by including African Americans among the class of people who may achieve the American Dream, assuming they are educated and economically mobile. While the conflicts faced by his characters are symptoms of the universal human condition, they assimilate at the expense of cultural alienation and emotional emptiness. In addition to The Intuitionist, Fain also examines John Henry Days, Apex Hides the Hurt, The Colossus of New York, Sag Harbor, and Zone One, demonstrating how they bend genre tropes and approach literary motifs from a postracial perspective. 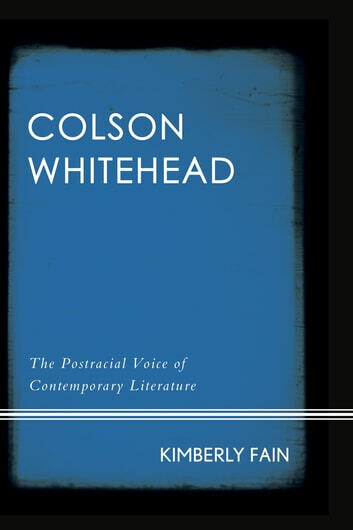 Comparing the author to his African American and American literary forebears, as well as examining his literary ambivalence between post-blackness and postracialism, Colson Whitehead offers readers a unique insight to one of the most important authors of the twenty-first century. As such, this book will be of interest to scholars of African American literature, American literature, African American studies, American studies, multicultural studies, gender studies, and literary theory.